A GLOBAL alliance of researchers has pioneered a new method to rapidly recruit disease-resistance genes from wild plants for transfer into domestic crops. The technique promises to revolutionise the development of disease-resistant varieties for the global food supply. The technique called AgRenSeq was developed by scientists at the John Innes Centre in Britain working with colleagues in Australia and the United States. It was published today in Nature Biotechnology. The result speeds up the fight against pathogens that threaten global food crops, including wheat, soybean, maize, rice and potato, which form the vast bulk of cereals in the human diet. “This technology will underpin fast-tracked discovery and characterization of new sources of disease resistance in plants,” he said. The current research builds on previous collaborative work done by Professor Bariana with the CSIRO in Australia and John Innes Centre in the United Kingdom. 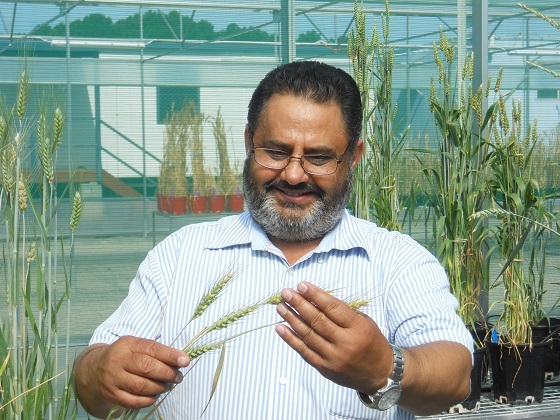 It used two wheat genes cloned by this international team as controls and Professor Bariana conducted the phenotype assessments for the study. Dr Wulff said: “This is the culmination of a dream, the result of many year’s work. Our results demonstrate that AgRenSeq is a robust protocol for rapidly discovering resistance genes from a genetically diverse panel of a wild crop relative.